With its sphere shape, the Globe Fiberglass Planter is attention-getting with its unexpected simple design. It can stand on its own as a modern design element. 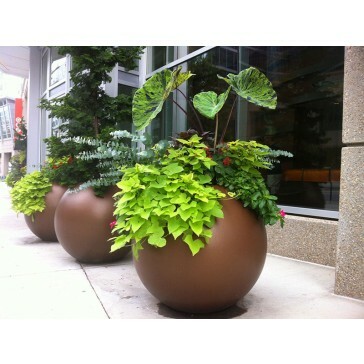 For more sophisticated settings, the Globe Fiberglass Planter is a stunning, understated accent when finished in subtle hues like Satin Beige, Matte Charcoal or Metallic Bronze. For a punch of vitality, the Globe Planter commands attention in shades like Gloss Tangerine, Satin Sea Foam or Gloss Saffron. 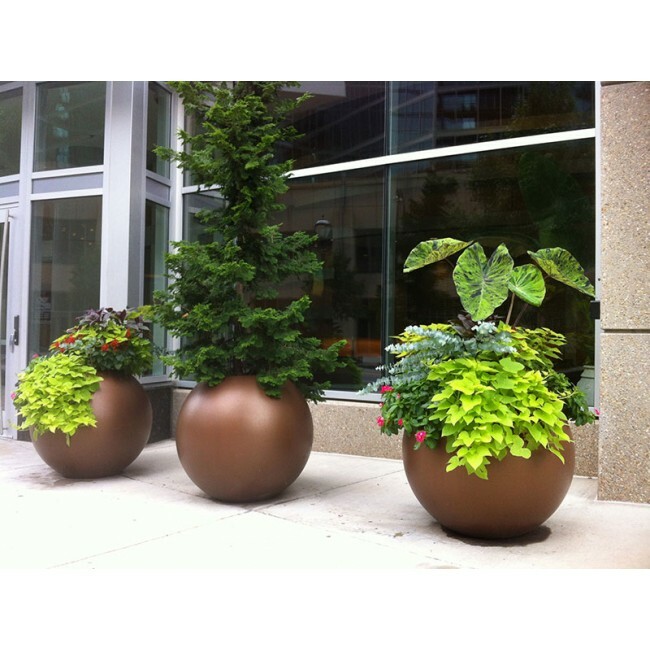 With the planter available in 16 finishes, designers and landscapers can achieve a custom look for interior and exterior landscapes at hotels, resorts, clubs, office buildings, restaurants and retail spaces. 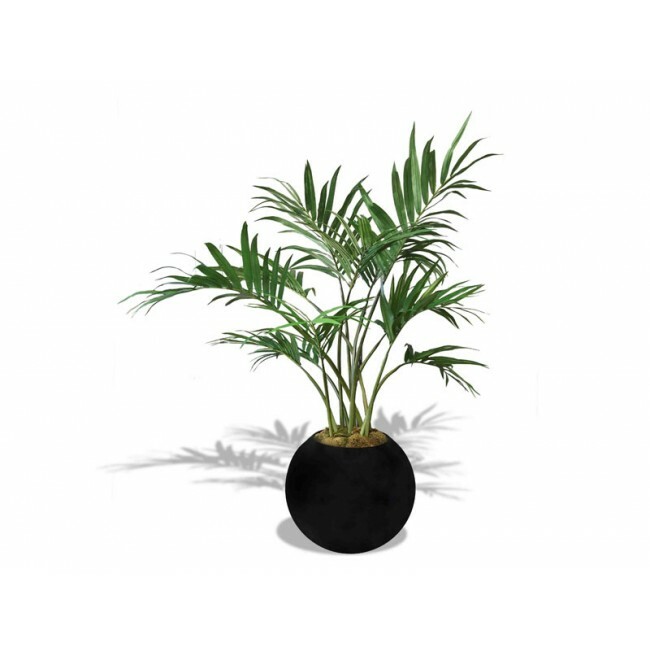 Along with its ability to act as a centerpiece, the Globe Planter is highly functional and durable, providing a spacious foundation for live greenery. It is available in two sizes, making it ideal for groupings of planters. The smaller planter is 24 inches in diameter and 19 inches tall, while the larger planter is 36 inches in diameter and 30 inches tall. The Globe Fiberglass Planter is handmade by skilled craftsmen of high quality fiberglass. The finish, also applied by hand, undergoes a automotive grade process that adds to its ability to withstand direct sunlight and extreme weather conditions without chipping or fading. Interior: 13" x 13" x 18.75"
Interior: 196" x 19" x 30.5"